Tropical monsoon; northeast monsoon (December to March); southwest monsoon (June to October). Sinhalese 73.8%, Sri Lankan Moors 7.2%, Indian Tamil 4.6%, Sri Lankan Tamil 3.9%, 10.5%. Buddhist 69.1%, Muslim 7.6%, Hindu 7.1%, Christian 6.2%, other 10%. The main religions of Sri Lanka are Buddhism and Hinduism which both have large influences on political, cultural, and social life. Generally speaking Buddhists believe people are reincarnated and have several lives. In each they learn lessons and should try to better their conduct in each life until they reach what is known as “Nirvana”. Not to harm or kill any living things. Not to steal or take anything that is not freely given. Not to drink alcoholic beverages or take drugs. Hinduism has two important beliefs, "samsara" (reincarnation and that actions in this life determine the status of the soul in the next incarnation) and "dharma" (caste or social class). Hinduism has many deities including Ganesh, Shiva, Vishnu, and Parvatand Kali all of which are aspects of Brahman (the eternal source of everything). Religion has both a direct and indirect impact on business. Most predominant is the shared acceptance of fatalism, i.e. that a higher force is in control. As a result people will turn to religion when making decisions, etc. 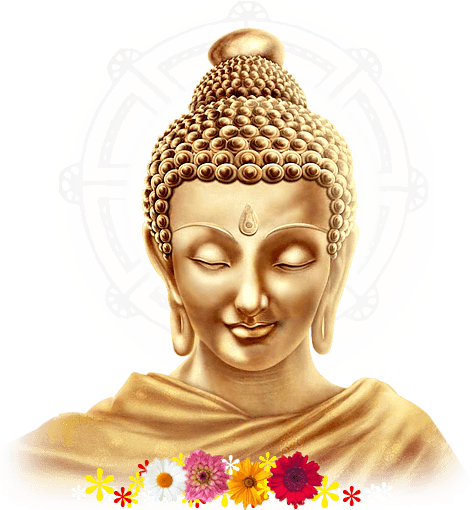 The influences of Buddhism and Hinduism as well as the caste system have created a culture that operated within a hierarchical system. Sri Lankans are conscious of social order and status. All relationships, whether in family life or at the office, to some extent involve hierarchies. At home the patriarch (the father or oldest male in the household) is considered the leader of the family. In the office, the boss/owner is seen as the source of ultimate responsibility in business. All relationships within these circles are then based on upon people’s positions within the hierarchy. Face, which can be described as honour or personal dignity, is extremely important to Sri Lankans. Face can be given or lost in social situations and it is important to avoid the latter. In business, for example, publicly reprimanding or criticising someone would lead to a loss of face for both parties. As a result Sri Lankans are very conscious of protecting their and others’ face at all times. This manifests in many ways. For example, many Sri Lankans will not feel comfortable making decisions since this may lead to failure which then leads to loss of face. Similarly, if asked a question to which the answer is “no” many Sri Lankans would prefer not to be so blunt and may give rather vague or uncommitted answers in order to avoid losing face. Typical greetings depend on the ethnic group people belong to but as a foreigner you will not be expected to be aware of such differences. The older generation of Sri Lankans will use the "namaste" (palms clasped together as if in prayer at chin level with a slight nod of the head). In informal settings you may also hear "kuhomadu" (How do you do?). The younger people generally shake hands. When addressing people you should always use the appropriate title followed by the surname. Always wait for the other party to move to a first name basis. Avoid flowers - they are used in mourning. Only give alcohol if you are sure the recipient drinks. White or black are the colours of funerals and mourning. Hindus should not be given gifts made of leather. .
Any gift received should be reciprocated. Sri Lankans enjoy coming together at meal time as a family or with friends. If you are invited somewhere at 7pm to eat it is likely you may wait a few hours before the food arrives, so don’t go with an empty belly. Wait to be shown your seat. There is often a protocol to be followed. Depending on the situation you may be served food on to your plate or be expected to serve yourself. Use your right hands to eat. Use bread or small balls of rice to scoop food off your plate. You may be offered or served second helpings. If you do not want more and it has already been put on your plate, there is no need to eat it. Leaving a small amount of food on your plate indicates that you have eaten you full. Finishing all your food means that you are still hungry. Expect to leave within half an hour after the meal ends. Most socializing occurs before the meal.